According to the football transfer rumours in English Media, Middlesbrough have reached an agreement to sign Aston Villa forward Rudy Gestede. 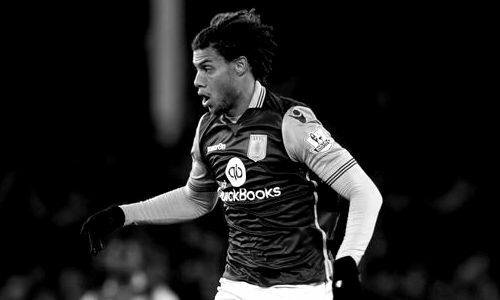 Gestede signed for Aston Villa from Blackburn Rovers on a five-year deal for a fee believed to be in a region of 7 million euros in 2015. Since his arrival from Blackburn Rovers, Benin international has scored ten goals and provided four assists in 54 games for Aston Villa, including four goals and provided one assists in 18 games in all competition this season. Aston Villa forward has emerged as a surprise target for Middlesbrough ahead of the winter transfer window. Middlesbrough currently on 15 position in Premer League have score only 16 goals in 18 matches and that is the main reason why they need new striker. Rudy Gestede could be ideal signing for them. Benin international has been linked with Newcastle United and a whole host of Premier league clubs this month. According to English Media, Middlesbrough are looking to lure the forward in the New Year for a fee in a region of 7.7 million euros.